Your Sims are getting fancy with The Sims 4 Luxury Party Stuff! Throw a luxurious party with a variety of extravagant décor. Your Sims are getting fancy with The Sims 4 Luxury Party Stuff! Throw a luxurious party with a variety of extravagant décor. Upgrade your Sims’ wardrobes with dazzling gowns and chic formal wear. With the all-new buffet table, you can decide what tasty dishes to serve your Sims and put together the perfect centerpiece for any event. Party in Style, Live in Luxury – Throw the most lavish party in town with a collection of flashy furniture & decorations. Add fun and elegant pieces to your Sim’s home. 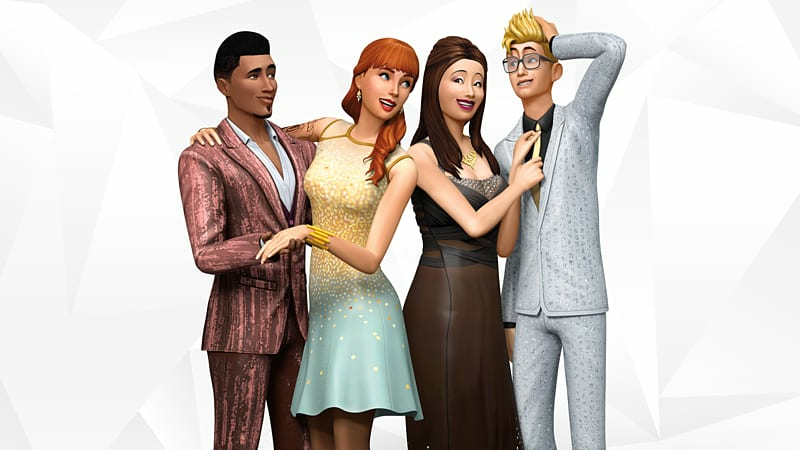 Dress to impress – From sparkly sequin dresses to shiny 3-piece tuxedos, your Sims will be the best dressed at any black tie event – or just any event period. Complete their glamorous look with new hairstyles and accessories. Indulge in the all-new Buffet Table – You can set up the ultimate feast for your Sims, complete with a table-top fountain – and yes, it can even be chocolate. *Requires The Sims 4 game to play (sold separately) and internet connection for installation.